SO MANY FILMS. In the absence of real friends, lonely children may well compensate by surrounding themselves with obsessive collections and for me it was always cinema. Horror films were a particular favourite and so, therefore, growing up in the late seventies and early eighties, thanks to the betamax and then VHS, even in the darkest shadows of my childhood, I was surrounded by friends. If you’re reading this, chances are they were your friends too and I would like for us to remember them now. 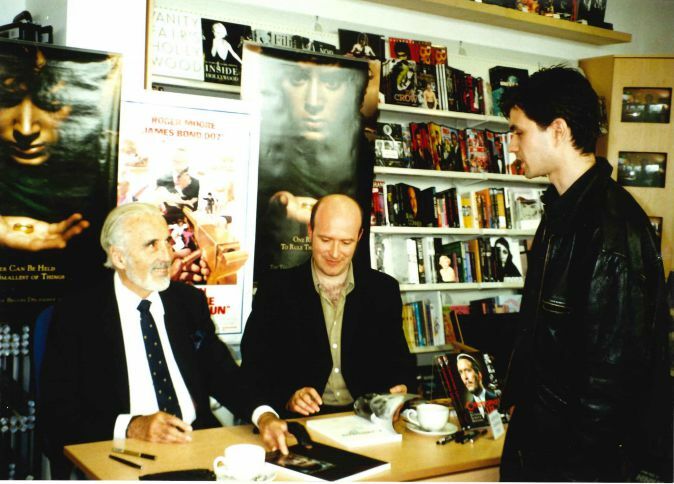 In the summer of 2002, Christopher Lee was guest of honour for the grand opening of the Cinema Store in Nottingham. 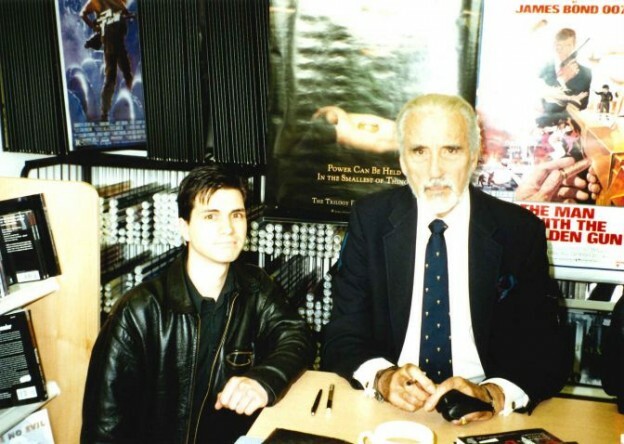 The second installments of both the Star Wars prequels and Lord of the Rings franchises were due for release that same year but Mr. Lee was also there to promote a new book written about him by Jonathan Rigby. The ping of the lift heralded his arrival and as the doors parted to reveal this icon of horror and fantasy cinema, it is no exaggeration to say that he was every bit as charismatic in person as he was on screen in countless mesmerizing roles. 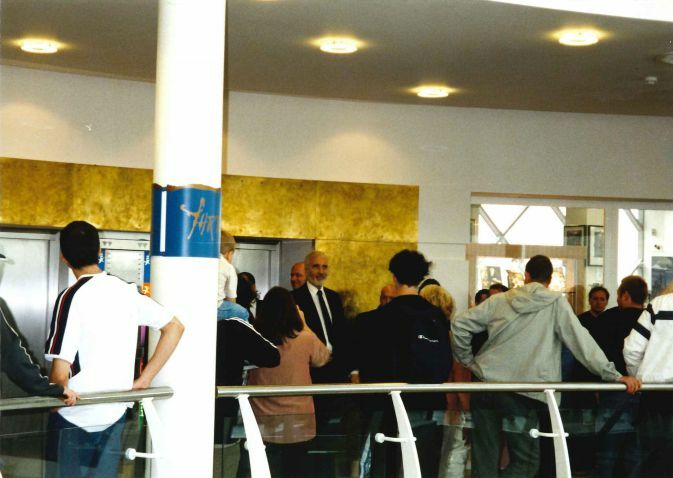 However, it must be said that I observed a certain lack of amusement from Mr. Lee as he was greeted with tedious and banal questions by fans as they queued to meet him. So when is Attack of the Clones released and what about The Two Towers? Not to mention his vexed expression when faced with endless questions regarding a certain vampire. It can be a daunting experience to meet your hero as it is but this did little to calm my nerves. 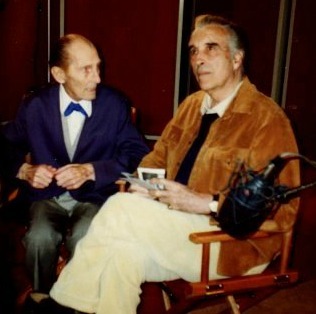 When it was finally my turn to make a fool of myself, I stuttered and mumbled something about how much I always wanted to meet him and Mr. Cushing and how much their work had meant to me as a child of those dark and aforementioned shadows. Perhaps sensing my nervous disposition, something rather wonderful happened and the most sorcerous of smiles appeared upon his face as he joked about how I’d have to wait until I travelled to the other side to meet dear Peter. Of course, I’d seen this smile many times before, usually when he was about to do something particularly cunning or diabolical on screen but this time it was warm and comforting, immediately putting an overly serious and introspective fan at ease. I shook his hand and said thank you. A fleeting moment, undoubtedly one of millions that Mr. Lee has had to put up with over the years but I will never forget the kindness and sensitivity with which he “handled” me. So, if like me, you have spent immeasurable hours in the company of Mr. Lee, or at least his remarkable legacy of films, you will feel a great sense of loss today. Sir Christopher Lee has died. He has gone to the other side. He was the last true gentleman of horror. Perhaps when it is my turn to travel to other side, we shall meet again – both Mr. Lee, and indeed, Mr. Cushing – those happiest of screen enemies. This entry was posted in The Gothic on June 11, 2015 by Damian Michael Barcroft. In the name of the Father, and of the Son, and of the Holy Ghost. I was a good little boy who always said his prayers at night and was even an altar boy for good measure because God and the Devil were very real to me as a child. 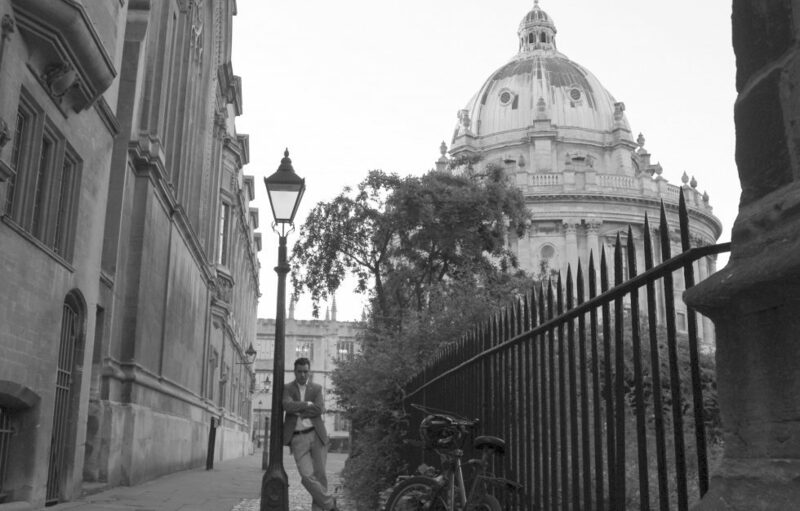 Catholic Church, Catholic School and Catholic guilt – my Holy Trinity. Words and phrases like eternal life, world without end, lead us not into temptation but deliver us from evil, still reverberate but I lost my faith somewhere along the way. It’s difficult to say when or even why but the idea of kneeling, singing and praying together as part of a congregation suddenly became weird to me – especially the act of Holy Communion; Lord, I am not worthy to receive you, but only say the word and I shall be healed. And then you eat and drink the body and blood of Christ. The little Damian may have amicably taken part in this ritual mingling of the body and blood of our Lord Jesus Christ but teenage Damian was out of there. And he never went back. Still, those eternal questions remain: Why am I here? What will happen to me when I die? Does my bum look big in this dress? Perhaps in the absence of God or faith, I chose to pursue the supernatural or paranormal in my exploration of life’s unanswered questions but the truth is, I wasn’t much convinced with this either. 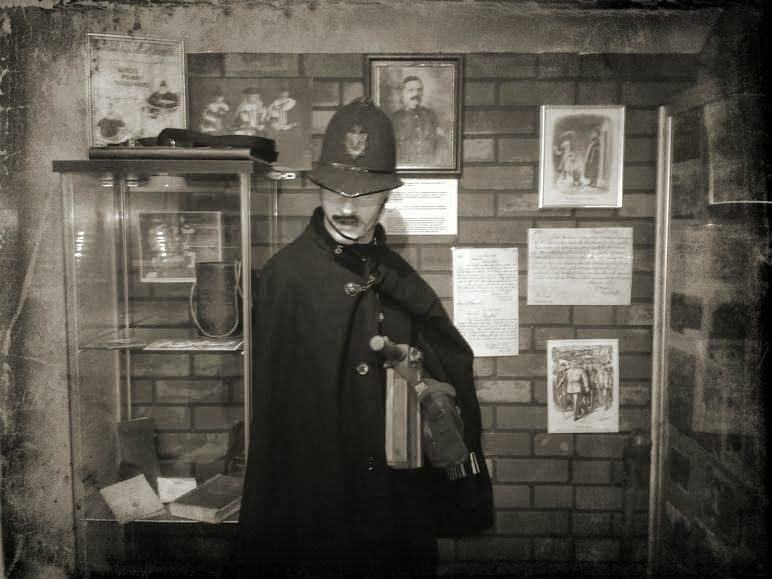 I was talking about all this with a friend of mine, Ashley Waterhouse, curator of the Derby Gaol (old English for jail) and Police Museum, while I was researching Victorian Police for a new book on the subject. Ashley said I should have a chat with Richard Felix and he was right! 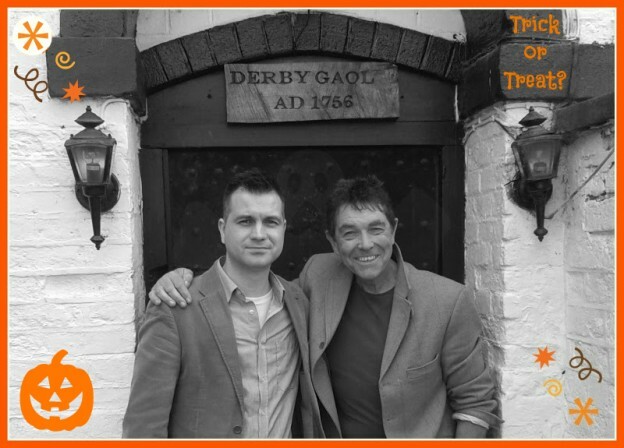 Of course, I knew Richard from his four years on TV’s Most Haunted and was impressed by his passion and knowledge as a historian and paranormal investigator. Perhaps he could answer some of my questions but I also wanted to ask him if his own brush with death as a teenager (he was diagnosed with cancer but made a full recovery) contributed to his interest in the afterlife and also about the controversy surrounding Most Haunted’s authenticity. So, Godless and without any faith or belief system of my own, I made my way to meet Richard Felix to explore the paranormal – maybe I would even see a ghost! As I sat on the train from Uttoxeter to Derby, it amused me to recall that poster behind Mr. Mulder’s desk. Damian: Derby has been named the ghost capital of England. Well, here we are in Derby, specifically we’re sitting in the Derby Jail, which itself, has been called a strong contender for the title of most haunted place in Derby. 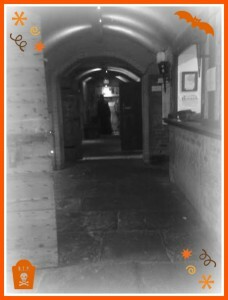 So, are you telling me that I’m now in what could be the most haunted place in England? Richard: Yeah, you’re absolutely right. But it could get better than that Damian because Derby is the most haunted city in Great Britain and this is probably, with its history and everything else, the most haunted place in Derby but what you’ve got to remember is Britain has actually got more ghosts than anywhere else in the world because the ghost thing is an English-speaking people thing. England, Ireland, Scotland and Wales, America, Canada, New Zealand, Australia, they all have a ghost culture that non-English-speaking countries don’t have – they don’t do ghosts like we do. 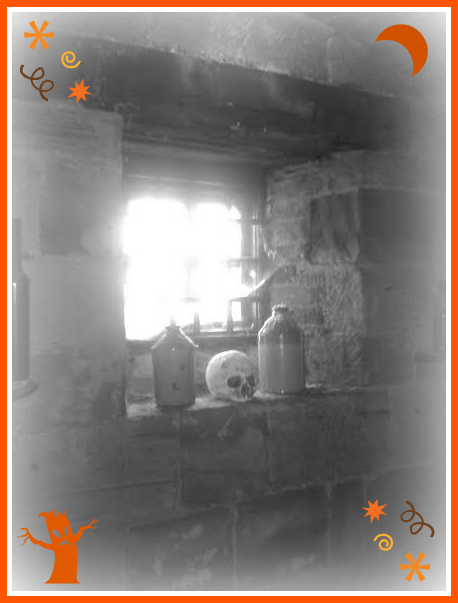 They’ve got their beliefs and superstitions such as the Mexican Day of the Dead but in terms of actual ghosts, England is the most haunted country in the world and Derby is the most haunted city in the world! Damian: OK. First of all, what evidence is there to support such a claim and secondly, am I safe to continue with this interview? Richard: …Yeah and he also does all sorts of statistics for magazines and it was for a double-pack paranormal DVD that got commissioned and he declared Derby to be the most haunted city in Great Britain with York and Chester a joint second. YES! So you see, it wasn’t me – it was in all the newspapers so it must be true mustn’t it? Damian: Indeed. Well, I’ve certainly come to the right place then. You know how people say that if you suddenly find yourself in front of a wild animal, the best thing to do is stay absolutely still, what advice can you give me should I suddenly find myself next to a ghost? Damian: You want me to talk to it? Richard: Give it respect. Give it the same respect you would have given it when it was alive because remember it was once a human being like you and possibly still thinks it is and possibly doesn’t even realize it passed over. In fact it probably hasn’t passed over because it’s still around. That’s the big one that so many people don’t seem to understand. Of course the next thing to tell you is that the profession of a ghost, if they had one, wouldn’t be to scare you. Damian: That was going to be my next question and it’s the title of a certain book, What is a Ghost? Richard: Well, that’s the title of my book! Damian: Yes I know Richard – it’s what’s called a plug! Richard: Ha! Well, the word ghost which we use is nothing more than a Proto-Indo-European word well over 3000 years old, “ghodyz” means to be frightened of – that’s it. From it comes the old English word “gast” and the German word “geist” and they all mean the same. When William Caxton came over here with his printing press in the fourteen-hundreds it took the old English word “gost” but he spelt it with a silent H because that was the Flemish spelling and we got our ghost. So anything that we don’t understand, something that walks through the wall, throws something off a mantlepiece or walks up the stairs but you can’t see them, doors open on their own, we refer to it as a ghost because we’re frightened of it. We need to change it. I’d like to change the name to energy; an energy force that has left the body but is still around. Damian: But let me ask you this, you’ve just mentioned an intelligence but before you said that ghosts possibly don’t realize that they’ve passed over so exactly how aware or intelligent are they if don’t even comprehend that they are actually dead? Richard: It’s operating on a different level, be that a spiritual plane, dimension, frequency or vibration. In other words, the ghost that I actually saw going past the kitchen in this very building, I don’t think it saw me and I don’t think it saw the kitchen as it is now. 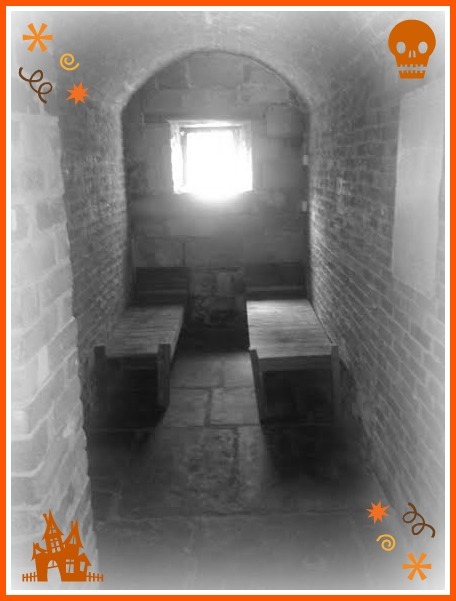 I think it is in its own realm as the jail was back then years ago. Hence the fact that it walked through the wall so supposing there was a door there originally in 1756, but we’ve now put the door there, I don’t think the ghost would come through that door, it would come through the original door here because it’s on a different frequency or vibration. In other words, in its time, that door was open and that’s why sometimes they are headless or legless because they are actually on the original floor that was lower or the ceiling higher than the present one. I don’t think that they know the building has changed even if the building’s not there anymore. Damian: So the kind of ghost that we are accustomed to seeing in films are more perceptive and intelligent than “real” ones? Damian: The Patrick Swayze kind of ghost perhaps? Richard: Oh yeah, very much so. The number of times after Christmas that a little girl might see an old lady but isn’t afraid of her. Then the photos come out at a Christmas party and the little girl says that’s the lady I saw in my bedroom the other night. Well it’s her Grandma and the little girl might be three and the old lady has been dead for five years. That happens over and over again because she’s still around, they don’t go anywhere. They’re not up there, or down there. Damian: Ghost sightings and incidents apparently tend to occur here from around October –naturally in time to cash in on Halloween!– through to December and then tail off until June or July. Why would there be more or less sightings at particular times of the year do you think? Richard: That’s a good question. There’s various reasons for that and I don’t believe for one minute that ghosts are creatures of the night because whatever incident created a ghost usually happens in the day time. Damian: What incident might that be for example? Richard: A hanging perhaps and we don’t hang people at night. In the olden days where most ghosts come from, as soon as it got dark people went to bed. Damian: But can you tell me why would most ghosts be from the “olden days” as oppose to more recent times? Richard: Oh I’ve got a huge theory for that one and it’s all down to what they believed in at the time rather than what people believe in now. For example, have you ever heard of the ghost of a caveman? Richard: Exactly. 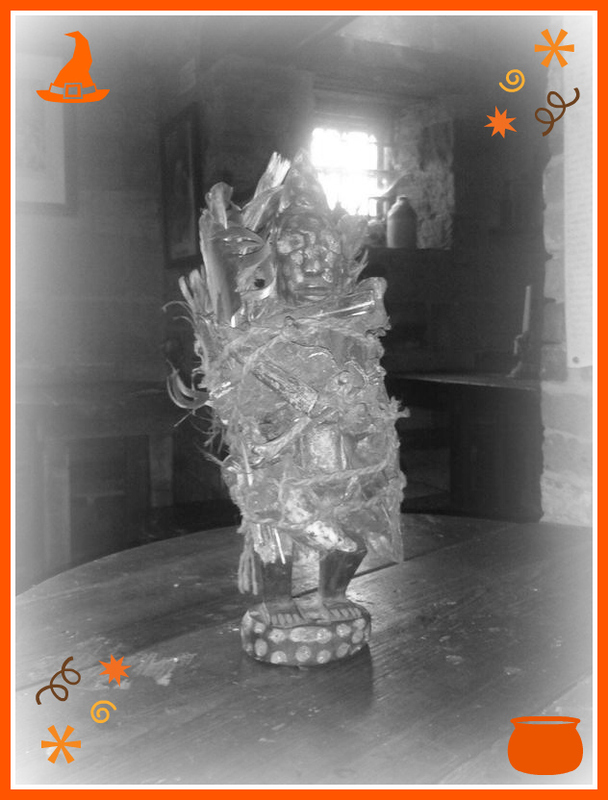 So, prehistory or two-thousand years ago, there are very few ghosts. I’m not saying there are none but there are not many. Have you ever seen a ghost wearing a hoodie and smoking a joint with his backside hanging out of his jeans walking through a council house wall? Richard: So there’s a huge period in between and it all started two-thousand years ago with the creation of Christianity. Richard: So basically in October you can tie in the pagan beliefs of Halloween but the other reason is that it’s also darker a lot earlier at that time of the year so regardless of what I say about ghosts not being creatures of the night, the fact is that your sensors that see or hear are more heightened in the dark. That’s why we filmed Most Haunted in the dark and also because it’s more scary. People are more scared and more alert in the winter months. Damian: You’re actually scared of the dark aren’t you Richard? Richard: Well actually, I’m scared of what’s in the dark. There’s a difference isn’t there? Damian: Perhaps. Tell me how you first became interested in the paranormal and if your own brush with death as a teenager may have contributed to this? Richard: I’ve been frightened of the paranormal since I was four and that’s because I played with kids that were a lot older than me and they used to frighten me to death with ghost stories, not frighten, terrify me and from the age of four I used to lay awake at night waiting for the green ghost. It’s still with me, I never went to the toilet alone or slept without the light on until I was at least fourteen – I’m terrified of ghosts! I’d hide under the bedsheets, count to sixty and then with both fingers crossed and fein deep sleep and then it wouldn’t do anything to me. I need to see a physiatrist don’t I? Richard: So I think having a fear in something probably gives you an interest into it as well. And then of course it all started when I became chairman of Derby tourism and thought we needed ways of promoting the city. York do ghosts walks so why don’t we? So I started the legendary ghost walks and we’ve had a million and a half people on the ghosts walks in the last 22 years! Damian: Let’s talk about the Derby jail which we’re sitting in now. If I said to my partner that I was going to buy an allegedly haunted old jail, I suspect she would react somewhat disapprovingly to say the least. What did your wife have to say on the matter? Richard: At the time I had already taken over Derby heritage centre which was three-thousand square feet of Tudor grammar school that had got a history going back to 1160 with famous boys that went to school there like you wouldn’t believe in that building. Thomas Linacre, the founder of the Royal College of Physicians, Bishop Juxon, the man that stood on the scaffold with King Charles I and ghosts – very haunted as well so I started the ghost walks. I’d bitten off an awful lot with this building and my wife was not too keen on me starting another project that took me eighteen months to make on a very small budget because, I won’t go into this, but I’ve never had the slightest help from the city in any way. I can see her now sitting in a cafe in the Eagle Centre as it was then telling me I don’t want you to do this. Damian: But you just ignored her anyway? Richard: Of course I did! Richard: Yeah, it’s not a dying business at all! I was actually always frightened to death that my Dad would appear in my bedroom when he died. But I wasn’t frightened when he was alive so why the hell should I be frightened of him appearing when he’s dead? Damian: I’d be somewhat disconcerted if a dead person suddenly appeared in my bedroom. Then again, I’d be disconcerted if anyone suddenly appeared in my bedroom without knocking. Anyway, did your father ever appear? Richard: Well, talking of the whole emotion thing and how it changes, I actually travelled in the car with him after he was dead without me seeing him and he was seen by somebody else. Damian: Who was driving the car? Richard: I was driving – it wasn’t him! I travelled with my father and he was seen in the rearview mirror of the bloke in front all the way down through an army camp where Dad and I used to go. The guy got out and said hello Richard are you and your father OK and looked into the passenger seat and realized that no one else was there. He knew us very well and was head of War Studies at the Royal Military Academy at Sandhurst and he said there was definitely someone sitting in the passenger seat next to me. Richard: It is the same thing. Damian: My Nan is a devout Christian and would undoubtedly be disappointed that I’m in a haunted old jail doing an interview with a paranormal investigator accompanied by your resident psychic (Chris Thompson) sitting in the corner who has just been showing me his collection of African Voodoo fetish dolls! Do you think it is possible to be a religious person and also pursue the paranormal? Richard: Yes. Yes I do – absolutely. Damian: Are you a religious man? Richard: No but I believe in a creator. I’m Church of England, I was christened and I usually wear a cross but the only reason I wear it is for them and not for me – those believers and I’m talking about the dead ones. It’s a little bit like a reverse magnet, if you put two magnets together, one pushes the other one away and I believe that wearing a cross does the same thing – repels them for want of a better word. Damian: Are we talking about spirits? Richard: Yes. It’s gets them away from me because I’m frightened of them. Damian: Not to be cynical but wouldn’t it be in your best interests not to repel them as a paranormal investigator? Richard: But I’m frightened of them! Damian: Not really very good for business though is it? Richard: Hah! I actually wore a fantastic Saxon cross that was found on the lakes in Ireland where the Irish King is buried and it’s a Celtic cross that would have been worn by a monk and on Most Haunted, and this is real – it was ripped off my neck. There was two supposed evil monks in this place in Portsmouth and you could see the mark on my neck where it was ripped off! 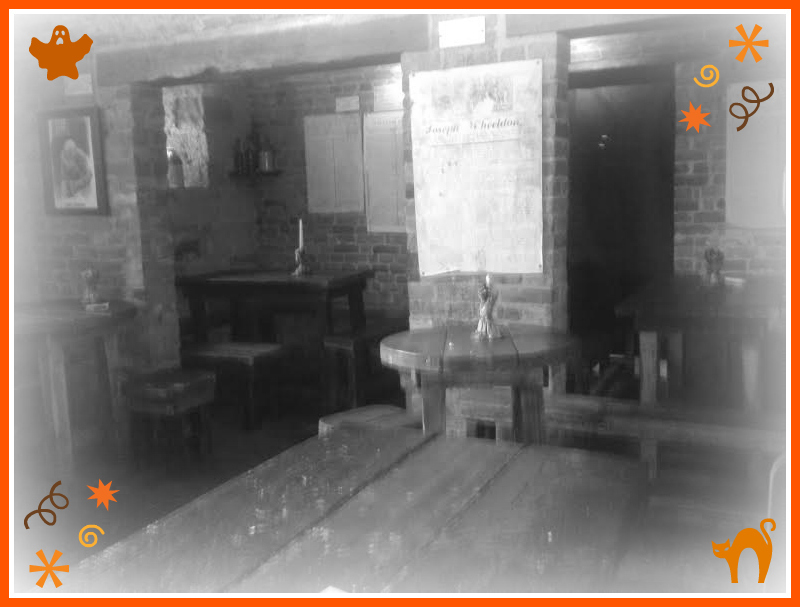 Damian: This was actually caught on camera in an episode of Most Haunted? Richard: Yeah, too right it was. That was real. I know that was real, it actually happened to me. Damian: Can we just clarify your stance on religious faith and the possible contradiction it might pose with paranormal investigation? Richard: I’m not anti-church, I’m anti-man. Man that has corrupted the church and used it for their own gains. When you ask me if I believe in God, the problem that I have is, and call it God if you will, you could call it anything from Jehovah to Allah but we’re all talking about the same thing – a man in the sky. I believe that something created all of this. Damian: So while you might entertain the idea of a God that created us, in terms of the New Testament at least, you just dismiss all the events depicted in the Bible? Damian: I really wouldn’t like to say but we’re sat here in a supposedly haunted building discussing spirits returning from the dead. How is Easter Sunday and the resurrection of Christ any different from the ghosts or spirits that you have spent your life investigating? Richard: Maybe we’re singing from the same hymn book. I mean I’m talking about someone that dies, goes wherever and then comes back. The Church is talking about a guy that died after he was executed and three days later came back. I suppose the only difference with Jesus is that it was a physical resurrection as oppose to just spiritual. But there’s no proof for either. Damian: But that’s where the issue of faith comes in isn’t it? Richard: Yes and I have a lot of time for anyone that has faith. Damian: Regardless to what faith or what they believe in? Richard: Yes, I don’t care what you believe in. If you believe in spacemen that will come and take you back at the end of your life to wherever you came from then good for you. But please, please don’t kill people because you think your faith is slightly different from someone else’s. Damian: Moving on. You are probably best known to many people for your appearances on TV’s Most Haunted with Yvette Fielding. Can I ask why you left and perhaps comment on some of the negative publicity regarding the controversial issue of the show’s authenticity? Richard: Well, when I joined Most Haunted I believed in most things that happened at the beginning but basically it degenerated into Scooby-Doo and that was my problem. So what I’m saying to you is that on the show, I never caught anyone faking anything in the four and half years I was on the programme. I’m not saying they didn’t, because I know that everything that happened couldn’t have been a ghost every five minutes. It’s as simple as that. How long have you been here now – has anything happened to you? Richard: Exactly. But if we were on the show something would have happened over and over again by now and it doesn’t work like that. But an awful lot of stuff that happened on that show I genuinely can’t explain – I really mean that. For me, when a door slammed shut on Most Haunted, it was always presented as a scary ghost, screams went, I probably ran off because I’m frightened of ghosts and you probably jumped off your sofa at home. It always had to be a scary ghost but what I wanted to do was to go away and find out why that door slammed shut because I wanted to check if someone had left a window open. What you have to do in the ghost business is to tick all the normal explanation boxes first and for me there was never any normal boxes on Most Haunted. That was the trouble and because of that I thought I needed to go. I was one of the few people on that show, apart from Derek Acorah and other mediums who would lose credibility. The other people, and I mean this in the nicest possible way, were cameramen, hairdressers and things and it didn’t matter how many times they fell over, felt sick, got a headache, got scratched – they wouldn’t lose any credibility. I would. Damian: You’ve mentioned Derek Acorah and the two of you are very good friends? Richard: Very good friends with Derek and I believe that there is an absolute genuine side to him. Damian: You say that you believe there is a genuine side but that implies to me that you’re suggesting there is perhaps another side to him that is possibly less genuine? Richard: I would say that on TV the problem you’ve got is that if you’re told by a TV company that I want two ghosts in the attic, one in the bathroom, two down the toilet, one in the garage, three in this room and one down there and don’t ever say there’s nothing here, then I would say what are you going to do about that when you are told you’ve got to find ghosts in every room? Damian: So you are saying that there’s a pressure to make something up in terms of delivering the goods in order to entertain the audience? Richard: Oh I believe you’ve got to come up with the goods and I would imagine that you probably have to stick to a script to a certain extent. I’ve seen a side to Derek that is totally different to what I saw on Most Haunted because again, it was an entertainment show, or at least later rebranded as an entertainment show. Damian: You’ve done live shows many times yourself and if someone spends their hard-earned money to come and see you, you’re going to brand that as the real thing as oppose to simply entertainment aren’t you? Richard: Yes but I don’t see dead people. I try to produce a rational explanation for people to talk about that I believe entertains them, because, I believe that the reality behind ghosts is far more fascinating than the Scooby-Doo side of things. It’s very unfair to the world to disrespect the whole medium thing and still laughs at the whole idea of people talking to the dead because we just don’t understand it yet – science won’t take it seriously because there is too much Scooby-Doo surrounding mediums. But if I was to tell you that a man named Stevie Wonder, when he can actually find a piano – can play it. I mean he can’t even see – nevermind read music – it’s a gift and there’s something different in his mind to what’s going on in ours but so too does a medium have something different but people won’t accept that bit. I mean I could sit down with a piano for the next thirty years and I still wouldn’t be able to play “I Just Called to Say I Love You” like Stevie Wonder can or even write it for that matter. It’s another part of the mind that we haven’t explored – YET! Damian: And sadly we must end on that musical note for now Richard. Thank you very much indeed. My thanks to Richard Felix, Chris Thompson and especially museum curator, Ashley Waterhouse. 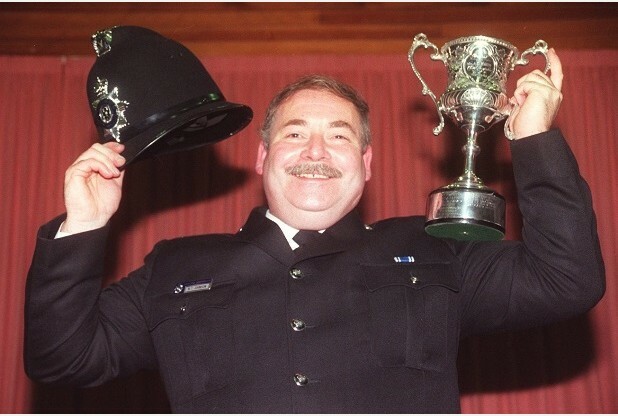 Wayne was a police constable for 31 years and even won Bobby of the Year. 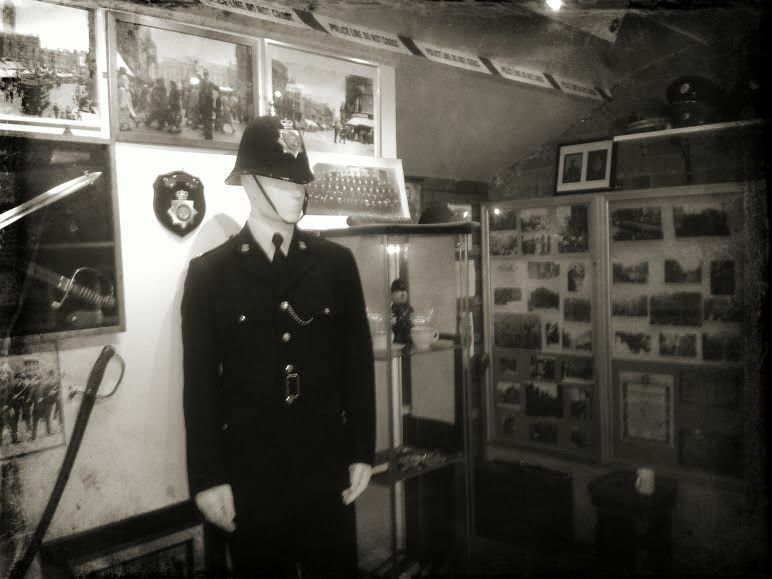 His passion, knowledge and support concerning the Derby Police Museum will never be forgotten. Wayne sadly passed away shortly before this interview took place. This entry was posted in The Gothic and tagged Ashley Waterhouse, Chris Thompson, Derby, Derby Gaol, Derby Jail, Derby Police Musuem, Derek Acorah, Most Haunted, Richard Felix, Wayne Johnson on October 31, 2014 by Damian Michael Barcroft.